Very quickly, it's the end of the year already! 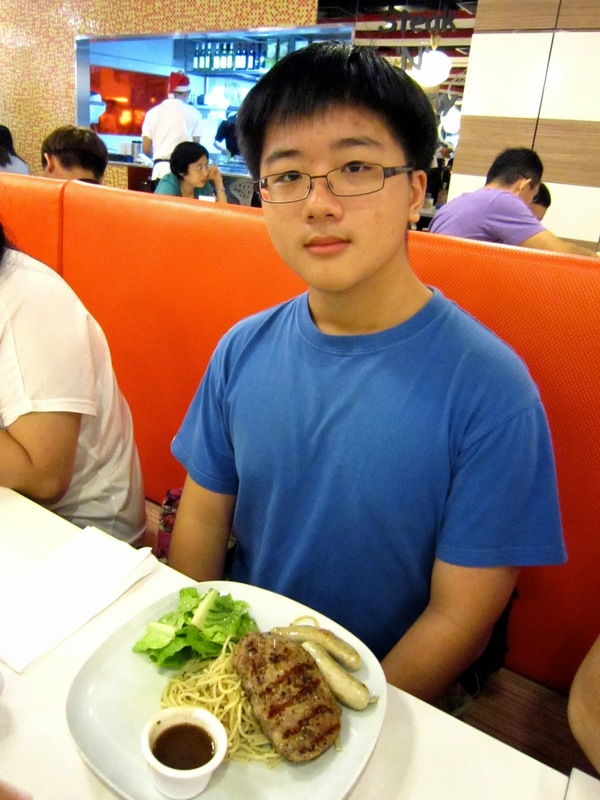 For lunch, we went to eat at Hot Tomato at Causeway point. We ordered Express Lunch that includes the tomato soup, a main and a drink. Chicken is usually not my first option but the probability of me ordering a food from the menu is proportional to the size of the menu picture. 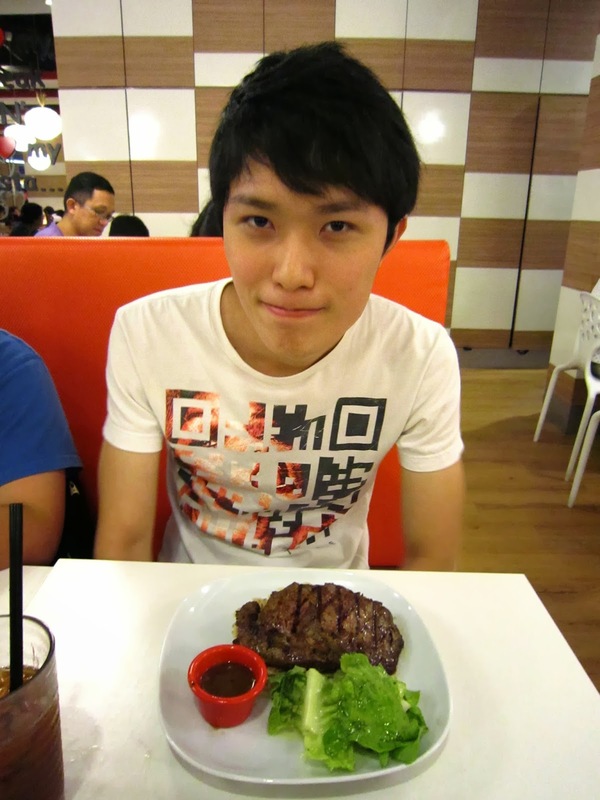 And Shunann with his Rib Eye Steak. The manager told us that their steak here is better than jack's place. I guess it's probably true then. A great way to end 2013!